Every time a business does something new, it creates excitement in the office. This isn’t only for the people behind the desk but also for the people in front of it i.e. you, the customer. Imagine this. You order in amazing Chinese food from a local restaurant. The food is flavourful, the prices highly economical, and the service flawless. Now, the same people have decided to open a new restaurant focusing on your favourite cuisine. It doesn’t matter if it’s Indian, Japanese, Middle Eastern, African, or Martian, if it’s your favourite, then you’ll get excited as much as the people opening the restaurant. Well, we now hope to engender as much excitement in you, our customer, as we’ve been feeling these last few days. You see, Inkjet Wholesale has decided to make an effort to cater to our customers beyond printing consumables. We’re incorporating a host of new products in a host of new categories so that you, our dear, dear customers, can get all office supplies you’ll ever need from us. What new products will we be adding to your favourite website? Let the list assemble! It would be quite foolish of us to operate in the printing industry and not know what the future holds for it. In fact, we wouldn’t have survived if we didn’t keep up with all the trends of the printing industry. So, every time we read or see anything associated with 3D Printing, we’re immediately reminded of how the next technological revolution will be based around Additive Manufacturing (that’s another name for 3D printing if you didn’t know) technology. This is why your favourite printing consumables supplier is integrating 3D printing consumables into its product portfolio. 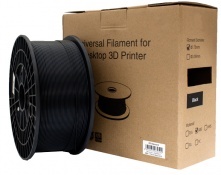 So, if you have a 3D printer, allow us to be a part of the future with you with our new 3D Filament products. At Inkjet Wholesale, we understand that something new and revolutionary is on the horizon doesn’t always mean that old methods of getting things done become obsolete. For instance, no matter how many 3D printers you install or how much cloud storage capacity you have, we know that you can’t do without hard copies of crucial documents. 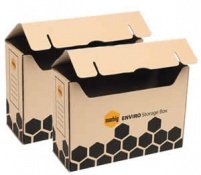 This is why we’ve introduced new Archive and Storage products into our product portfolio. 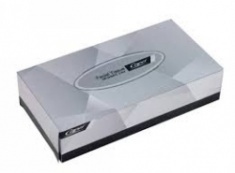 In our archiving and storage section, you’ll find a wide variety of archiving boxes with lids that will ensure that your key documents always remain safe and secure. If you’re going to handle documents, then you can’t do it without binders and accessories of various types. This is especially true for high value documents that need to be carried from point A to point B. After all, you don’t want to end up in an important meeting or presentation only to realise that you dropped key papers along the way. We’re talking about new products such as dividers and sheet protectors that can ensure the safety of your documents. Documents are the lifeblood of any business. This is why business owners try to provide their employees with tools to keep their documents safe. 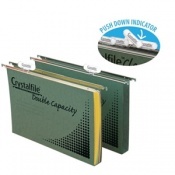 One of these tools that we have inducted into our product portfolio is document wallets. Document wallets seem cheap if purchased singly. However, if document wallets are purchased in bulk as most business owners seem to do, then their price can quickly become astronomical. Suspension files are extremely useful office archiving tools. They’re usually used with archiving boxes to not only ensure reliable storage but also easy accessibility of the archived files. Businesses that combine suspension files with other archiving and storage products end up saving huge amounts of space. Businesses that buy those suspension files from Inkjet Wholesale end up saving tons of money along with a lot of space. It doesn’t matter what kind of work you do. It’s highly likely that you use a calculator. Even people at home use calculators to make simplify complex calculations. What we’re trying to say is that calculators are very useful. Consequently, we’ve included them in our product catalogue as well. You can get calculators from two companies on Inkjet Wholesale. These are Canon and Sovereign. If you have need of ink or toner cartridges, then it is only obvious that you must print a lot. A lot of what you print will be written documents as well and the reason you print so much is that you prefer working on hard copies as opposed to soft copies. Editing hard copies, unfortunately, is quite difficult. The only way it can be done is through correction products such as correction pens and correction tapes. Luckily, we now have you covered from this perspective as well! At Inkjet Wholesale, we realise that everyone doesn’t use the same revision tools. For instance, if some people like correction products, others prefer markers and highlighters. 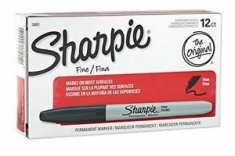 This is why we have a long list of various types of permanent markers for our customers. Again, be assured that you’ll save a considerable percentage of the cost by buying these from us. Ballpoint pens form the backbone of any organisation, regardless of how technologically forward that business may be. We’re pretty sure that employees of even Google and Microsoft use pens on a daily basis. Who are we to question the need of mankind? Resultantly, we have a section on ballpoint pens in our product portfolio just so you can save heaps on this extremely basic but vital implement of humanity. What if you want corrections to be made on a printed document but can’t exactly mark things on the paper itself? Well, you’ll be using sticky notes and flags to do this task. People even use them to label their documents so that they can identify them with a glance. Hence, we have a large collection of flags and sticky notes just for you. 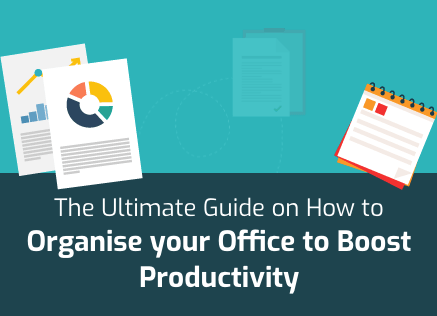 Research has shown that an individual’s productivity depends heavily on the tools on his desk. We understand this simple fact which is why we offer desk accessories of various types. At Inkjet Wholesale, you can not only get document trays to hold all your precious incoming and outgoing documents but also key tags to ensure that you never confuse your keys! Tissues signify cleanliness. Since cleanliness signifies civilisation, perhaps tissues signify civilisation? Tissues may not be a critical tool in the workplace but they do make a difference. Simply by ensuring that everyone has something to wipe their hands with, you ensure that your office equipment remains clean and that no infections spread through your workforce. Does your business correspond regularly with its clients and customers? Do you have to send lots of purchase orders by hand to your suppliers? Do you simply mail and post documents a lot? If your answer to these questions is a ‘yes’, then you’ll need lots of C4 envelopes. We have just the solution for you that will help you save tons of money. And, no these envelopes are not explosive. You can’t mail or pack anything without tapes. We complement our previous new products category with this one for tapes and tape dispensers. 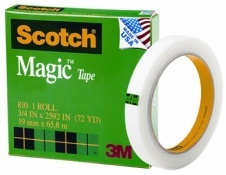 We offer two types of tapes to our cherished customers. These are packaging tapes and invisible tapes. Both these types of tapes have their separate and unique purposes but both of them have a similarity on Inkjet Wholesale. They’re available at insane prices! 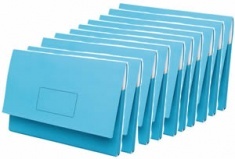 If envelopes are not good enough for your business and you need something different, then your favourite supplier has manila folders for you in a wide variety of colours and sizes. 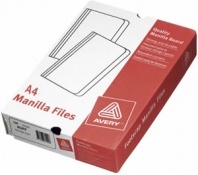 Save huge by getting your manila folders from Inkjet Wholesale and give us the pleasure of meeting your needs. This isn’t exactly a new products category that we’re introducing since it’s been around always but it is worth mentioning in this list because we’ll be adding new products into this category. Within the paper category, we have three sub categories which are copy paper (high quality or standard black and white printing), glossy photo paper, and matte photo paper. Take your pick, and print away! If you print a lot, then you’ll have a need to keep multiple papers together a lot. Paper fasteners are what you’re looking for and exactly what we can now provide to you at your doorstep. 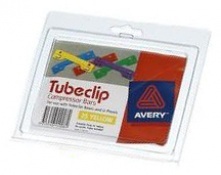 We have two solutions for you in this new products category, which are file fasteners and tube clips. You’ll even find multiple colours in the latter category if you prefer colour schemes. Printing a lot of documents invariably means that your business will end up printing high value, sensitive information. Once the purpose of these documents has been achieved, they need to be disposed of in the right manner. You can’t very well burn documents left right and centre. 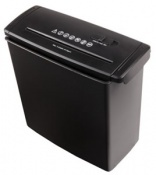 What you need are shredders. 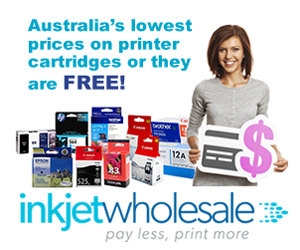 At Inkjet Wholesale, you’ll find a wide array of options at tremendous discounts. Have a look!